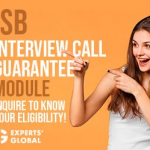 ISB promises that deserving applicants will get the funds they need. As knowledgeable ISB Admission Consultants will inform you, you can get your education financed even up to the entire programme cost. At approximately 40,000 USD, the ISB fee (same for Indian and international students) is less than half the average fee of other world-class B-schools. And you lose only one year of earning. Yet, as ISB Admission Consultants will make you realize, the programme is not inexpensive. If you take a loan, you will spend years repaying it. The loan will cover tuition fee, the cost of books and your living expenses. But if you are married, you have to arrange for supporting your family because loan will not be provided for this purpose. Therefore, you must discuss your financial position with your ISB Admission Consultant before applying. Though ISB lets you pay in two installments, you get a discount if you pay the fee at one go. When the admission process is completed, you will be informed about the loan application deadline. ISB Admission Consultants will guide you about available options. ISB has tie-ups with various banks to provide loans to Indian students. Now, flexible repayment options are provided whereby you can increase monthly payments gradually as your income increases. ISB students are exempt from collateral and processing charges on loans. Loans are also available for international students. They can get loans from IEFC. There are also the Paras Education Foundation International Student Loans. Those who are of Indian origin can get loans from the HDFC bank, provided they can arrange guarantors based in India. Sponsorships from employers are allowed. ISB Admission Consultants will let you know that you will have to rejoin the company post-PGP. ISB Admission Consultants will apprise you of the merit and need-based tuition waivers awarded. International students can also avail of these. Candidates whose family income is less than INR 10,00,000 (approx. 16,100 USD at present) are eligible for the need-based waivers. To avail of such a waiver, you have to write an essay and provide the latest income tax returns and pay slips of the earning members in your family. 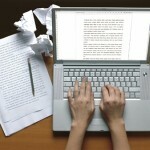 ISB Admission Consultants will provide guidance on writing the essay. There is no cap on the number of such waivers. All candidates are eligible for merit-based tuition waivers. 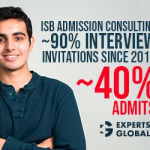 The good ISB Admission Consultants will tell you what ISB is looking for. They will hone your skills and guide you on each stage of the admission process, increasing your chances of securing such a waiver. To ensure that maximum students get financial aid, ISB offers either of these tuition waivers. Scholarships are offered by certain companies and some groups associated with the ISB. These are usually dependent on performance during PGP. The selection criteria are the discretion of the granting body. International students get scholarships based on merit and the reason provided for choosing India. Some foreign companies and organizations offer them scholarships. There are some not specific to countries. ISB Admission Consultants can provide detailed information about financing your PGP. Are Extra-curricular Activities Important for Admission to ISB?